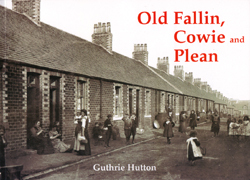 The villages of Fallin, Cowie and Plean owed their existence to coal but, as Guthrie Hutton shows, there was much more to village life than mining. Away from the pit the men played football or bowls and if musical, they played in the pipe band or the silver band. All these activities, the people, their homes and the shops that were at the heart of the village are among the many well captioned photographs in this book.